Black batsmen steadily start to make their mark, while a Cobras stalwart stakes a claim for a return to the Test side. This season’s domestic four-day competition concluded over the past week with some optimistic signs for the future of South African cricket. The country’s premier first-class competition not only produced excellent individual performances, but was also one of the most thrilling finishes in its history. The Cape Cobras led the standings for entire season, before finally being overhauled by the Highveld Lions in the last five minutes of the campaign. Ashwell Prince’s side could only manage a draw in their game against the Dolphins in Pietermaritzburg, while Enoch Nkwe, a rising star of coaches in the country, saw his side pip the Warriors with nine balls of their game remaining in Potchefstroom. It was a remarkable recovery and one that showed that the four-day game – in essence the global feeder system to Test cricket – is very much still relevant. “It was an extremely positive four-day season,” Cricket South Africa (CSA) General Manager Corrie Van Zyl said. From an individual point of view, it was a season more for the batsmen rather than the bowlers after only one man managed to cross the 50-wicket mark. Off-break bowler Dane Piedt acquired that rare feat with his 54 scalps, which put the Cobras captain miles ahead of everyone else. His closest challenger was teammate Dane Paterson with 34 wickets from seven games, while Beuran Hendricks (32) of the Lions and Dolphins rookie Ethan Bosch (31) were the only others that ended with 30-plus wickets. But the star bowler was undoubtedly Piedt. Still only 28, the Proteas spinner led by example for his side as he claimed two 10-wicket match hauls as well as five five-fors, including a season’s best of 8/130. His economy rate of 2.92 was also impressive, while Piedt averaged 27.74. Added to his value was that he also contributed 221 runs with a century and a 50 among his returns. “Dane was excellent for us and showed exceptional leadership qualities throughout the season,” his coach, Prince, said of his performances. With the bat, it was a much tighter contest as Keegan Petersen of the Knights edged out Eddie Moore of the Warriors by 923 to 921 runs as overall leading run-scorer. The Cobras’ Pieter Malan (821) again excelled and so too did the Knights captain, Pite van Biljon (766). The top-five was rounded off by a young man who inspires the future – Warriors teenager Sinethemba Qeshile (735). 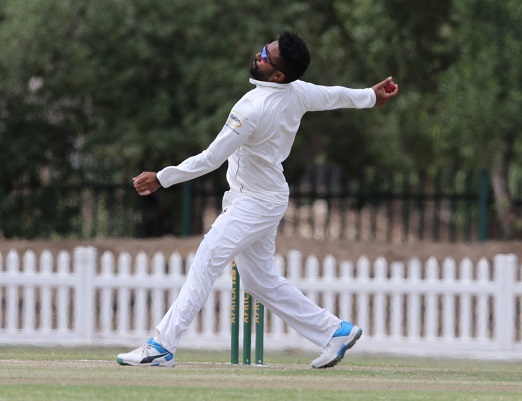 The 19-year-old also kept wicket and showed encouraging signs alongside other unfamiliar faces like David Bedingham (Cobras, 609), Andries Gous (Knights, 590), Kyle Verreynne (Cobras, 583), Janneman Malan (Cobras, 564), Grant Mokoena (Knights, 524), Sibonelo Makhanya (Dolphins, 503) and Kagiso Rapulana (Lions, 422 from four matches). The performances of Qeshile and the latter trio was especially encouraging for Van Zyl. He added: “There has been a drive from within the pipeline to improve the performances of black African batsmen, in particular.